You're probably familiar with Snapchat, and it's filters feature where you can put some cool and funny image overlays on your face images. 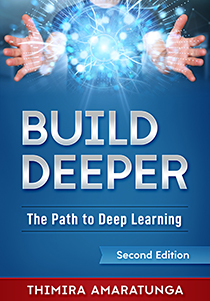 As computer vision enthusiasts, we typically look at applications like these, and try to understand how it's done, and whether we can build something similar. 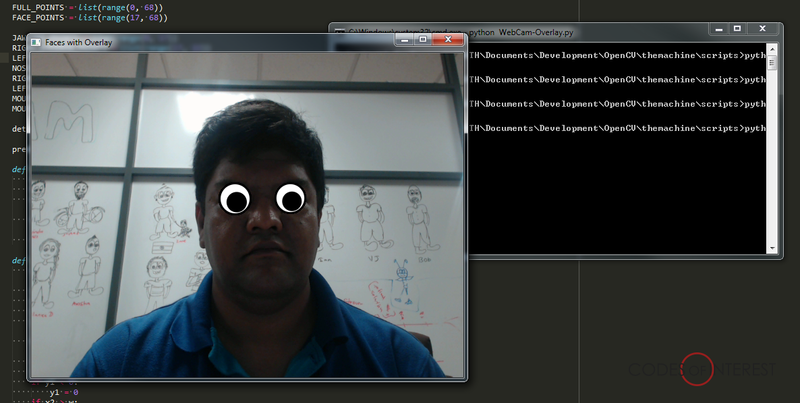 It turns out, we can make our own application with Snapchat like image overlays using Python, OpenCV, and Dlib. 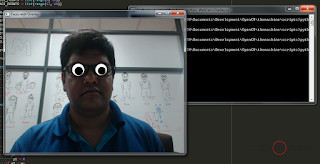 We'll first load the Webcam feed using OpenCV. We'll load an image (in our example, and image for the 'eye') to be used as the overlay. Use Dlib's face detection to localize the faces, and then use facial landmarks to find where the eyes are. Calculate the size and the position of the overlay for each eye. Finally, place the overlay image over each eye, resized to the correct size. Apart from OpenCV and Dlib, we load two methods from the scipy.spatial package, that'll help us with distance and size calculations. 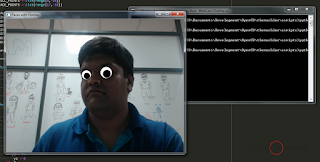 Next, we setup the parameters for the Dlib Face Detector and Face Landmark detector. We also initialize the arrays that help us extract individual face landmarks out of the 68 landmarks which Dlib returns. (see Extracting individual Facial Features from Dlib Face Landmarks). Next, we'll load the image for the overlay. 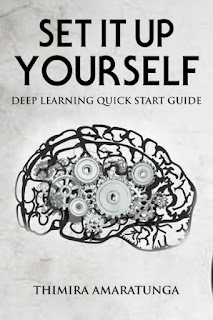 Notice that the image is a PNG, with a transparent background. The transparency is important, as we only want to place the eye, without a white box around it. Feel free to download and use this image with your code as well. Notice the '-1' parameter in cv2.imread. 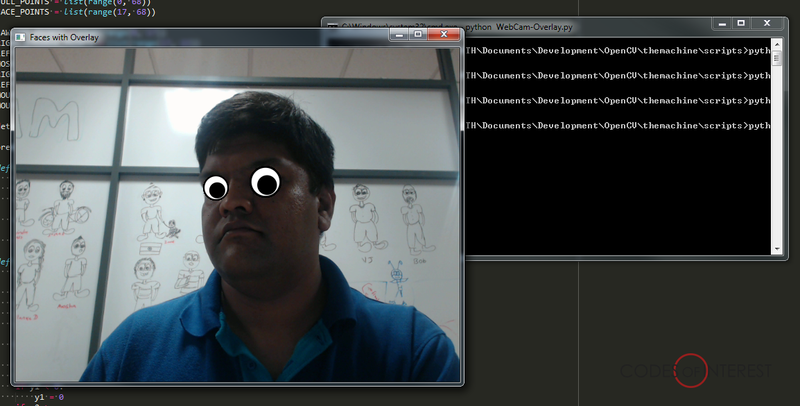 It's telling OpenCV to load the 'Alpha Channel' (a.k.a. the transparency channel) of the image, along with the BGR channels. We take the alpha channel and create a mask from it. 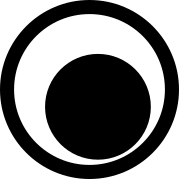 We create an inverse of the mark also, which will be used to define the pixels outside of the eye overlay. We then convert the overlay image back to a regular BGR image, removing the alpha channel. We now start capturing the frames from the Webcam, detects the faces from the frame, and detect the face landmarks. We extract out the landmarks for the left and right eyes separately from the landmark array. We use the euclidean function to calculate the width of the eye, and the ConvexHull function to calculate the center. # roi_bg contains the original image only where the overlay is not, in the region that is the size of the overlay. Here, we're calculating the size for the overlay based on the eye size and position. We also need to check for clipping. Otherwise, you'll be getting an error like the following when you try to calculate a mask that has pixels outside of the image frame. What we are basically doing here is to calculate the size of the overlay, get a box of pixels of that size out of the face image around the position of where the overlay should go, substitute the pixels of that extracted box with the pixels from the overlay image excluding the transparent pixels (using the masks we calculate), and finally put the substituted box of pixels back in to the face image. We only tried an overlay for the eyes here. But using the same techniques, you would be able to create overlays for anything. So, unleash your creativity, and what you can come up with. I was looking for it and you made everything easy for me i just found you with collaboration of worldbicouk . thank you so much for your guidance. Codes of Interest Facebook Community is now Live!